Carrefour Spain has announced that it has opened a new Gourmet store concept in its Alicante’s Mercado de Finestrat. The latest addition to its Carrefour Gourmet brand will mean the direct creation of over 50 new jobs, according to Carrefour. At the store, the retailer will partner up with various renowned HoReCa companies including such as Japanese restaurant Shikku, Bendita Pizza, brewer Nuestra Barra and confectioner De Sabors. Carrefour's new offering will include both an in-store dining experience as well as take-away, offering a variety of options to consumers. 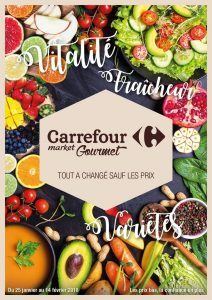 This launch come as Carrefour has focused on the more premium experience of the Gourmet brand, which expanded last year as a new distinct banner, boasting that "everything had changed, except the prices". Spain and Italy have been the laboratory for the larger Carrefour Group, with the company exploring new concepts to see what could be applied to its other markets in Western Europe.